Hey San Marcos, looking for Storage Units? Give Big Box Storage a try! Welcome back to another Big Box Storage Blog. This week we are focused on San Marcos and storage units. That’s right we service all of San Diego County including San Marcos, and if you are in the need for a storage unit you should give Big Box Storage a call. We match prices, and guarantee the most seamless, painless, and easy delivery and access to your storage of anyone in town! Did you know that San Marcos is celebrating its Golden Anniversary this year? That’s right, San Marcos has officially been a city for 50 years! Wow, congratulations San Marcos. San Marcos has really come a long way in those 50 years. 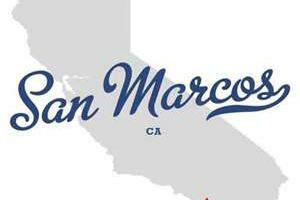 The area is home to California State University San Marcos, Palomar College, and over 80,000 residents. Wow. That’s a lot of people that might need storage in San Marcos, and that’s not even counting the college students that come and go each semester! Located right next to Escondido on the East and Vista on the West, San Marcos is a great part of the San Diego Community and we are proud to serve you for all your storage units needs here at Big Box Storage. Did you know that San Marcos also has a diversified housing market? The area is home to the housing development San Elijo Hills and other master planned communities and they are only at 72% of the area developed. Meaning there are and will be new communities opening up for residents for years to come! And with a master park and trail program, freeway access along the 78 corridor that reaches between the 15 and 805, the area is growing constantly. Look at you San Marcos. 50 years young and still growing.